Small, locally-owned enterprises often have difficulty raising the money they need to sustain or build their business. Professional investors only underwrite enterprises with a big potential upside and most small businesses don’t qualify. There was a time when you could borrow money from a bank, but that was before tight credit. As for that iconic public event, the Initial Public Offering (“IPO”), that’s been seen as for the corporate elite. Local shops need not apply. The only available option for small businesses often ends up being the owner’s private circle of friends and family (sometimes referred to as friends, family, and fools). This can be problematic, too. Your nearest and dearest may not have enough money to provide the support you need, nor is it easy to go with your hand out to Mom and Dad or your rich pal Phil. And now for the good news: This disheartening funding landscape is being transformed for the better. As interest in localism surges, innovative financing mechanisms for small, locally owned businesses are emerging. A breakout session at the recent BALLE national conference in Buffalo examined the shifting funding landscape for small businesses. 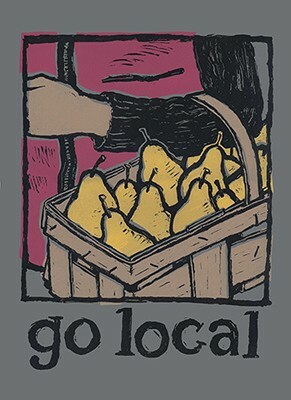 (BALLE stands for the Business Alliance for Local Living Economies: The organization is spearheading the localist movement.) The presenters discussed three divergent but equally intriguing emerging options. Jenny Kassan, CEO of California-based Cutting Edge Capital, focused on what she called “investment crowdfunding”—basically, the ability for local businesses to acquire investors through in-state public offerings. It turns out that the notion that public offerings are only for behemoths is a bit of a canard. Small businesses can play the IPO game, too—but they have to play it at the intra-state level because multi-state public offerings are prohibitively expensive. That’s not a problem—indeed, it’s a non-issue—for a local business with an in-state fan base. Francisco Cervera discussed the origins and potential of the online eMoneyPool, which he founded with his brother Luis. Rudimentary money pools have been with us for some time. Friends band together and agree to donate a fixed sum every month, with one member of the pool getting the entire proceeds in a given month. Let’s say the pool has twelve members and each contributes $100/month for one year. Each participant will get a $1,200 check somewhere along the way—exactly the amount they put into the pool. This is a lump sum they might not have had access to otherwise—and lump sums are useful things to have. eMoneyPool brings the efficiencies of the Internet to this traditional money-pooling concept. In return for a small management fee, it facilitates the formation of money pools, manages the payment process, guarantees payments and even reports payments to the credit rating agencies—a participant’s credit rating can go up by as much as 50 points in four months by simply making timely payments. While eMoneyPool is still a start-up with under 300 users, its potential seems unlimited. Let’s say I’m a small, locally-owned business and want to build my inventory. eMoneyPool enables me to get the funds I need without going through the headache of applying for—and possibly not getting—a bank loan. And I can go to eMoneyPool again and again. The third presentation, by Arno Hesse, was about Credibles, a word that cleverly combines “credit” and “edible.” Like eMoneyPool, Credibles leverages the efficiency of the Internet to provide funding to small, locally-owned businesses. Let’s say I have a restaurant and need $1,500 to secure a liquor license. Through Credibles, I could get my supporters to advance me the money, with payment taking the form of meals at my restaurant. While Credibles, like eMoneyPool, is very early-stage, preliminary indications are that it works beautifully. For one thing, the cost of the loan is very restaurateur-friendly. Lenders are paid back at the menu price level but the restaurateur’s cost is lower—it’s what it takes to prepare the meals. Thus $100 in loans may only cost the restaurateur $50 to pay back. In addition, pre-paid chits encourage customers to patronize the restaurant more frequently. Since the meal has already been paid for, it feels free. (Sort of.) Thus Credibles increases traffic along with helping restaurateurs raise money very economically. While Credibles is currently focusing on locally owned restaurants, there’s no reason why the organization couldn’t expand to serve other types of local enterprise such as community theaters or that vanishing breed, the locally-owned pharmacy. A critically important understanding is underpinning the emergence of these innovative financing mechanisms for small businesses. It’s that for local enterprises to thrive, you need a robust ecosystem to support them. This includes things like effective marketing, local government support, buy-local procurement policies at local anchor institutions like colleges and hospitals, accessible funding mechanisms, and possibly even complementary currencies. Carl Frankel has been writing about sustainability, socially responsible business and localism for over 20 years. His most recent book, The Art of Social Enterprise: Business as if People Mattered, was published in Spring 2013 and co-authored with social enterprise lawyer Allen Bromberger.